From 1969 to 1971, Hollingsworth served as Deputy Director for Planning for the Model Cities Program, another Great Society initiative designed to fight urban poverty. She became Associate Director of Project Planning a year later, and according to the Seattle Times, became with that appointment the highest paid female employee in city government. Hollingsworth oversaw 46 separate projects in education, arts and culture, economic development, job training, health, welfare, and legal services. When the program ended in 1975, she became director of Early Childhood Education where she set up day care programs and facilities for children throughout the city. In the same year, Hollingsworth launched a successful campaign to become the first black woman elected to the Seattle School Board in its 93 year history. She joined the first female majority on the School Board and served there until 1981. Hollingsworth’s tenure was controversial. 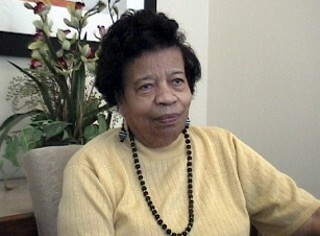 Her election allowed the black community to have a voice in their children’s educational futures but Hollingsworth favored a contentious program of school busing to promote racial integration and thus drew intense criticism from a number of black, white, and Asian activist groups opposed to busing. In the early 1980s, Hollingsworth worked as Deputy Director for the Department of Human Resources for the City of Seattle. She then was elected to the State Board of Education as the representative from the 7th District, serving from 1984 until her retirement in 1993. Hollingsworth has received numerous awards and accolades throughout her lifetime. Today, a Head Start program, administered by the First A.M.E. Church, bears her name. At the age of 96, Dorothy Hollingsworth still resides in Seattle. Mary T. Henry, HistoryLink.org Online Encyclopedia of Washington State History, “Hollingsworth, Dorothy (b.1920),” http://www.historylink.org/index.cfm?DisplayPage=output.cfm&File_Id=291; University of Washington Labor & Civil Rights History Project, “Dorothy Hollingsworth,” 2005, http://depts.washington.edu/civilr/hollingsworth.htm; Joan Wolverton, “A Woman With A Mission,” Seattle Times, Feb. 13, 1972; Quin’Nita Cobbins, “Black Emeralds: African American Women’s Activism and Leadership in Postwar Seattle, 1960-2000 [unpublished manuscript], 2013; Dorothy Hollingsworth, interview by Mildred Andrews, Seattle, Washington, Jan. 31, 2007. Hollingsworth, interview by Mildred Andrews, Seattle, Washington, Jan.